Microsoft DirectX is a group of technologies designed to make Windows-based computers an ideal platform for running and displaying applications rich in multimedia elements such as full-color graphics, video, 3D animation, and rich audio. DirectX includes security and performance updates, along with many new features across all technologies, which can be accessed by applications using the DirectX APIs. DirectX is a Microsoft Software (tool) and it is a Collection of large application program interface. it is very useful for better video experience and gaming experience. 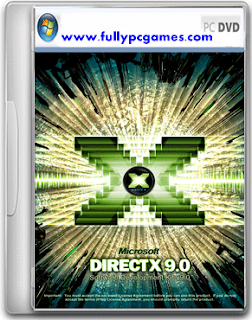 The DirectX end-user installation includes the D3DX, HLSL Compiler, XInput, XAudio, and Managed DirectX 1.1 components. Note: Dear if you found Error white installation some thing like for example "The Program Can not Start becuase d3dx9_35.dll is missing from your computer. try reinstalling the program to fix this problem. them install Direct X Web Installer.